Modernized four-axle connecting vehicle of the second cl. Btn 054 has one large-volume part for passengers with the aisle in the middle and two boarding areas. Boarding area at WC side is equipped with two WC units and basin, hand-brake and main switch-board. The second expanded boarding area is designed for the hanging and transportation of bikes event. baby-coaches. 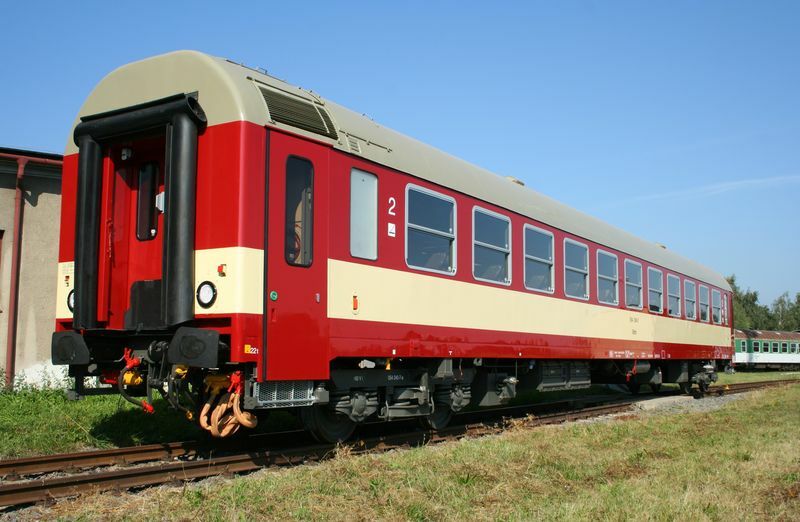 The vehicle is intended for ranking into systems with rail cars of the cl. 854, connecting cars of the cl. 056 and driving cars of the cl. 954. It provides also the operation with rail cars of the cl. 842 and 843, driving cars of the cl. 943 and connecting cars of the cl. 043, no function limits. Modernized 40 vehicles for České dráhy a.s. (Czech Railways) till the end of 2009.